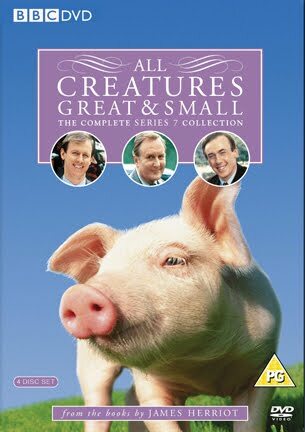 All Creatures Great & Small is one of my first experiences with British television. Probably my first would be Benny Hill, Doctor Who and then All Creatures Great & Small. I remember vividly watching this on my local PBS station, KTCA, in the mid-1980s on Sunday afternoons and it has made a long lasting impression on me. 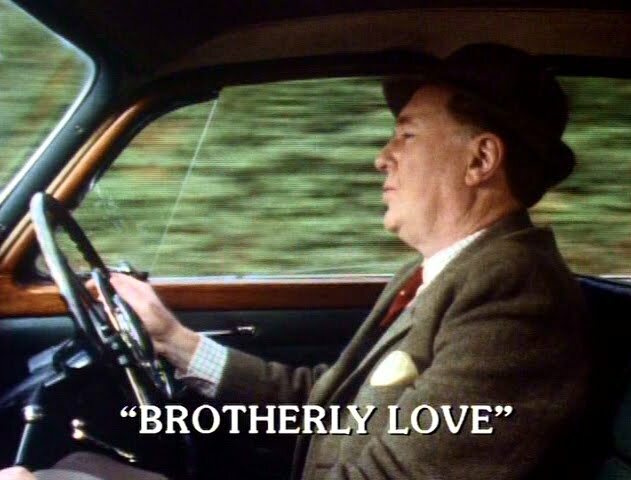 As I have been taking the month of May to watch series finales, when All Creatures Great & Small was chosen it was an obvious choice for me to watch the final episode Brotherly Love. I have never really paid much attention to this episode before. Not only was it the series finale, it was also a Christmas special aired in 1990 on BBC1. I am sure most people are aware of what All Creatures Great & Small is but in case you are not, he is a refresher course. All Creatures Great & Small is a BBC series based on the books of James Herriot. Now James Herriot was a country vet in Yorkshire. His actual name was James Alfred Wight. For years, Wight had a desire to write but as being a vet, the practice took up most of his time. Finally in 1966 at the age of 50, Wight was challenged by his wife to finally sit down and start writing, what he eventually came up with was the short book, If Only They Could Talk published in 1970 and followed up by It Shouldn’t Happen to a Vet in 1972. In that same year, these two sets of stories ended up being published together under the banner title, All Creatures Great and Small as US publishers thought the two other books were too short to publish on their own. When All Creatures Great & Small came out, it became a massive hit prompting a film in 1975 called All Creatures Great and Small and a sequel, It Shouldn’t Happen to A Vet the following year. 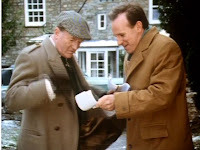 In 1975, Producer Bill Sellars was invited by the BBC to take the first two Herriot novels and create a series from it. Sellars eventually went on to produced all 7 series of All Creatures Great & Small plus 3 specials between 1978 to 1990. 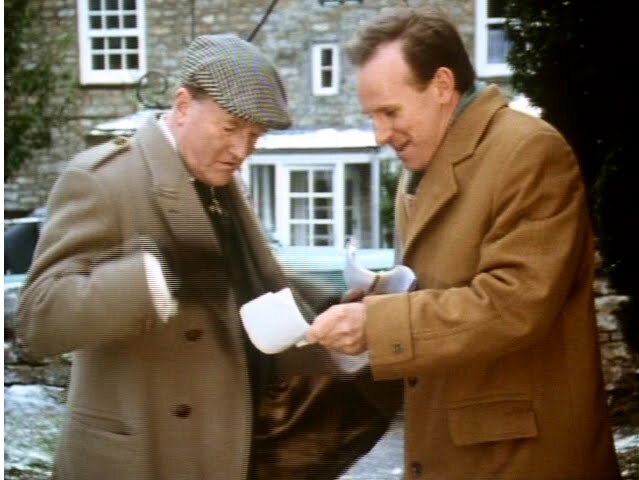 Sellars cast Christopher Timothy as James, Robert Hardy as James’ employer Siegfried Farnon and Peter Davison as Siegfried’s younger brother Tristan. The first 3 series, originally set around 1937, focused on James coming to Darrowby. 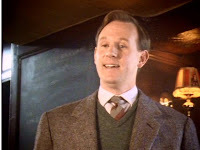 He is a calm person is a sea of eccentric Yorkshire farmers, crazy episodes with Tristan, and meeting his wife Helen. The third series ends with James, Siegfried, and Tristan answering their countries call of duty and entering into the War. The series return for 2 specials in 1983 and 1985. All Creatures Great & Small returned as a regular series in 1988. 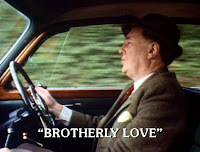 By this point, the series was co-funded by the US network A&E and stayed on the air until 1990 finishing with Brotherly Love. I was a big fan of the original first 3 series when I watched it on KTCA. There was a great energy of being set in the 1930’s and going out to location at all sorts of different farms and locations. A lot of work was done on animals and there was something very youthful and fresh about the series. I kind of lost track of the series for years after KTCA stopped showing it. One day, I noticed it was on A&E and decided to check it out. I was amazed at how this series was not the one I remembered. Clearly time had past by and the cast were older; it just didn’t seem to have the energy I remembered. Even the theme tune, also known as Piano Parchment, seemed to be a watered down version than what I remembered hearing all those years ago. 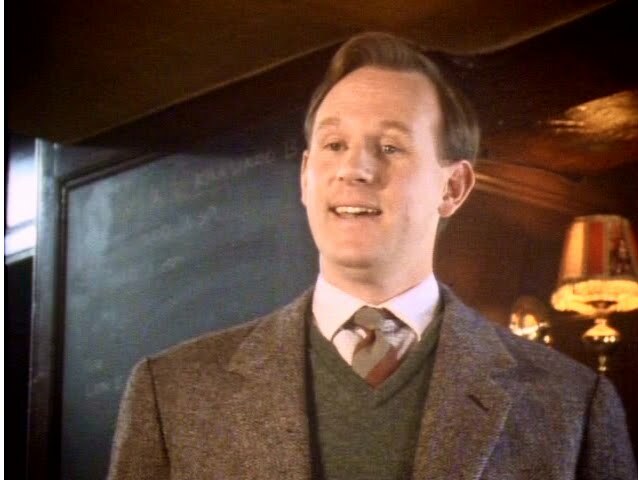 Plus by this point in the series, Peter Davison had a greatly reduced role. He actually became more of a Guest Star than cast member from Series 4 to 6. Though, he had a much more prominent role for Series 7 which really made a difference to the stories. Over time, my opinion of these A&E co-produced episodes would change to be more positive, I still feel the first 3 series were the strongest. For example, I think Series 1 is nearly perfect for balancing emotion, drama and comedy flawlessly often within the same episode. So, what about Brotherly Love? For the longest time this episode was an enigma to me. When I finally got around to thinking any All Creatures Great & Small is good and I needed to revisit the A&E episodes, A&E stopped broadcasting them. I know I saw some of Series 7 on A&E at the time but had missed Brotherly Love. Earlier this decade, I had a friend who taped most of Series 4 till the end off of UK Gold in the UK and sent them to me. I finally thought I would be able to see Brotherly Love. This plan almost worked except when my friend was taping them for me, Foot-and-mouth disease broke out in the UK. This highly contagious disease affects water buffalo, sheep, goats, and pigs. It also affects cattle. Brotherly Love has a pretty strong storyline about Foot-and-mouth and UK Gold decided not to show it for sensitivity reasons since the outbreak in the UK was pretty bad. I never thought I would see the episode. Since I never thought I would see it and I really couldn’t find too much information about the episode online, I started to imagine about what the plot of the episode would be since it was the final episode and it was called Brotherly Love. Well, in my mind, the brother’s clearly would have been Siegfried and Tristan. Since it was the finale, it would have to be pretty serious and climatic culminating in 7 season’s worth of their relationship developing into something significant. It could be epic! I assumed one of the brothers would have fallen prey to some kind of medical issue. Kidney failure perhaps? The other brother would step in to save the day! Or the two brothers would get in to a massive argument, shaking Skeldale House (where they live) to its very foundation. Maybe James steps in and helps make things better in time for Christmas. No? You’re right. I wasn’t even close. Brotherly Love may have little to do with the Siegfried and Tristan but they get along quite well in the episode. Tristan is in a lot of debt. He tries to make money off of gambling but gets deeper in debt when he loses. Yet, with more debt accumulating, he wants to buy a new (used) car which is pretty cool looking but is beyond his means. Siegfried loans him money for the new (used) car. What puts the Brother in Brotherly Love are two brothers who are fighting each other over a farm that they both share with their mother and have basically split it in half. They don’t get along at all. Eventually, things between the two brothers get out of control where each other hires lawyers for legal action for trespassing on each others area of the farm. James and Siegfried are called as character witnesses at the court hearing. Tristan, with his new (used) car catches the eye of a new school teacher in town who becomes the center of his obsession. Through out all of this, the threat of Foot-and-mouth disease is prevalent. There hasn’t been an outbreak in the UK yet so information on how the disease is transferred is wrong but the wrong information is the information spreading. One family has the perfect farm with a good number of cattle. Even the young daughter has her own calf which she loves. Here is a hint to All Creatures Great & Small: if the episode starts with healthy animals, especially if a child owns one, there is a real good chance they will all be dead by the end of it. This was very much the case in Brotherly Love. The one thing this series has often tried to tell is that life is not fair. The lesson is especially hard in farming that no matter what precaution the famer might take or however good they are, sometimes there are circumstances beyond their control which makes thing impossible or even devastating. What I also think James Herriot always tried to tell is that when things get desperate, don’t give up. There is a support group that can help. In the case of the farmer who lost his whole stock of cattle, it was Siegfried and James who were able to find a way to help him to start getting back on his feet. 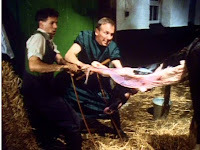 It is probably the scene in Brotherly Love with the Ministry of Agriculture coming in to kill the farmer’s cattle which is the most unsettling to me for the entire series. It really isn’t graphic; the images are quite simple. In one scene, there is a lot of cattle on this farmer’s farm. A couple of shots later, there are none. 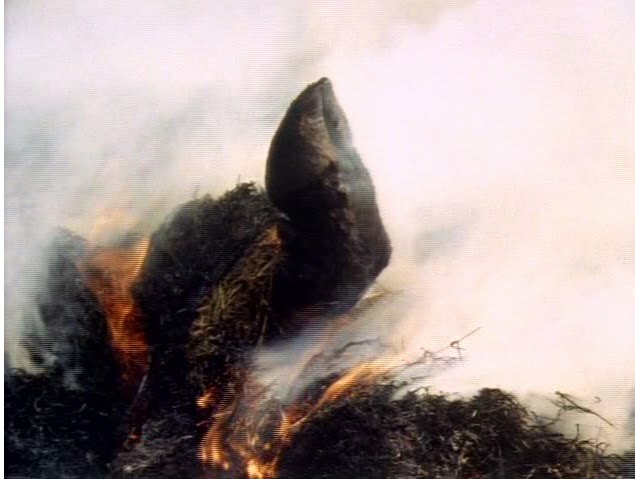 They are covered with hay and are being burned somewhere on his farm. Everything he worked for over fifteen years were gone. Though, here is another hint when watching All Creatures Great & Small: every episode is a happy ending. The two brothers decide to make up. In fact it is one of their cows they sell to the farmer who lost everything. Plus, the cow is ready to give birth which we see happen in all of its graphic, fluid, gooey, bloody glory. So the little girl has a new calf. Although poor Tristan doesn’t get the girl, he does get money to pay off all of his debts. How does he do this? Through gambling of course! It’s a great episode. There is something comforting watching All Creatures Great & Small and this episode is no exception. It is not a grand finale to the series. It shows that even though the series ends, the characters go on living their live. By the time the episode was finished, I was looking on my DVD shelf trying to figure out which episode to watch next. There is a timeless, warm quality to this that I admire and miss. I need to watch this series more. It always puts a smile on my face. Next week: I briefly move away from British television and look at a film from a period of time when monster movies were really only made well by one studio. That studio is Universal. I look at the 1939 film Son of Frankenstein next week with Basil Rathbone, Boris Karloff, and Bela Lugosi. Where does one begin trying to comment? This is a production that just makes you feel good. I agree that the first three series are the best but the later ones are worth watching. The first time I watched Brotherly Love, I too was surprised by the plot not being Siegfried and Trastan blockbuster. Still, it's all good. I wonder - can I somehow manage to force my random number generator pick ACGS to watch once my Blackadder run is finished? Dave, I believe all things are possible with the British Television Randomizer. Plus, I think you will need some sort of happy series to watch after the end of Blackadder. Whether it is the end of Good Byee.... or Back and Forth. I also hope you did the sensible thing and watched The Cavalier Years after Black Adder the Third! On a side note, I picked up series 2 of Hot Metal and Series 1 of Executive Stress!